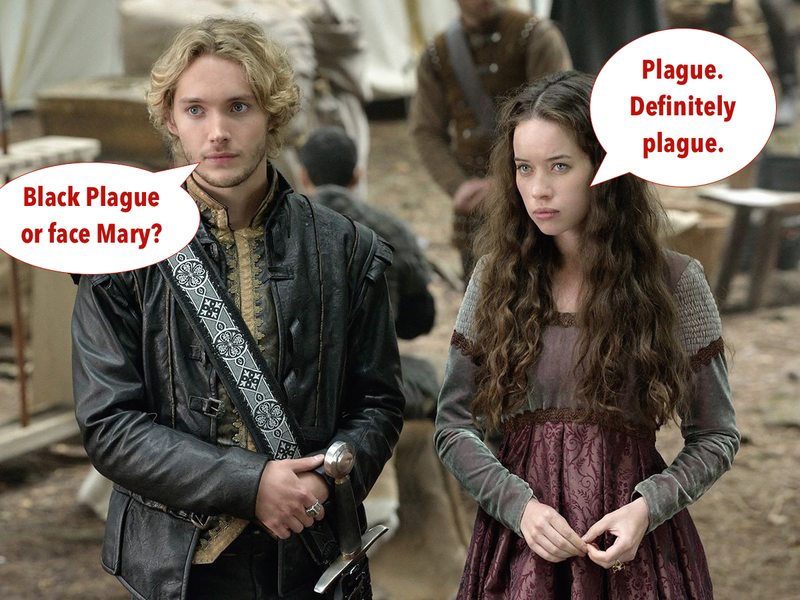 My Purgatory Blog: Reign: Lordddd the Yawns. SPOILER ALERT: I've watched the first two episodes in season 2. Not happy so far...but I'm holding out hope that things will go back to the way they used to be; deliciously ridiculous. I think the writers have done a complete180 after only one season...and I don't know why. It seems like they're trying to beef up their (horrifyingly inaccurate) historical side while squelching their fun, playful, who-can-we-hook-up-with-each-other-this-week side. And the thing that kills me most of all is Mary and Francis. I adored them last year...but now they're like this old, married couple who don't even like each other half the time. And GEEZ, people...how about letting Mary SMILE once in a while?? Can't she and Bash get drunk and make out or something? 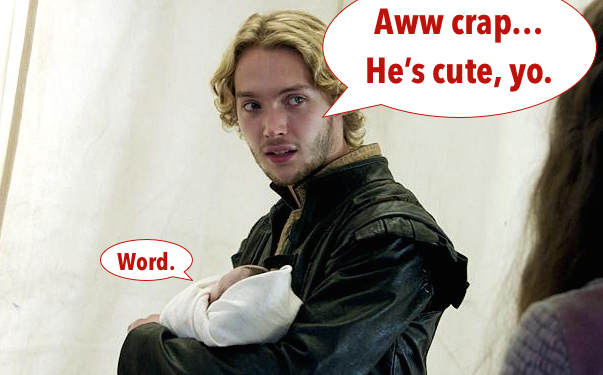 And PS - Makeup and Hair department...please, for the love of god, do something with Toby Regbo's hair. He was gorgeous last season...he is still gorgeous...but now he looks like Little Boy Blue. I'm a curly girl, myself...so I know of what I speak when I say STRAIGHTEN THE FRONT and STOP with the Dorothy Hamill meets Florence Henderson look. Please. If the storyline doesn't have to be historically accurate, poor Francis' hair doesn't, either. That's enough for now. Lordddddddd...that is enough!